Is Spring cutting line? Sure feels like it. Here we are in the last stretch of December and it feels like April. The long range forecast assures a balmy Christmas. That might be just fine out in California but in the North-east? The fireplace sits cold and unused and winter jackets still hang fresh from the cleaners. Admittedly, it’s kind of fun to head outdoors without the weight of layers but I’m beginning to get nervous. I’m holding my breath as I await the drop of the other shoe. Clearly, weather patterns are topsy-turvy. The west is getting all the snow generally reserved for the east. Is Nature messing with our minds? Climate change is very real people! Seems humans are not the only ones confused. Looking around, the garden is showing distinct signs of spring awakening. When news arrived that the cherry blossoms were in bloom in our nation’s capital, I thought it was a hoax. Like an April Fools joke. 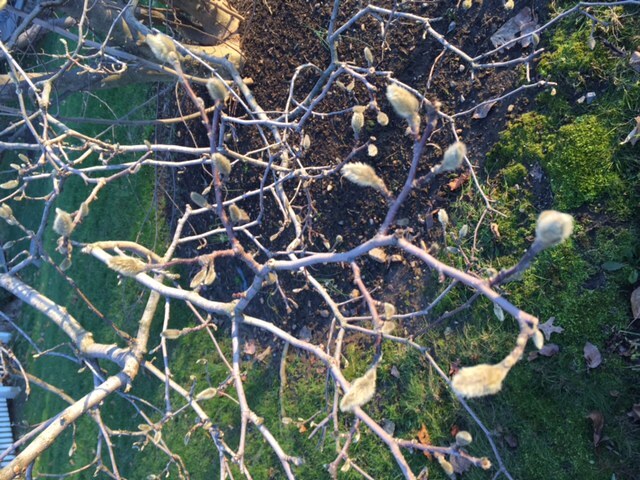 But then, as I wandered around the garden and elsewhere, I noticed plants that ought to be dormant bearing nascent buds and/or leaves. Normally, such sights make me insanely happy but at this time, I’m downright alarmed. What are the immediate consequences? Perhaps some light color from early bloomers like cherry and forsythia will no doubt still put a smile on our faces. 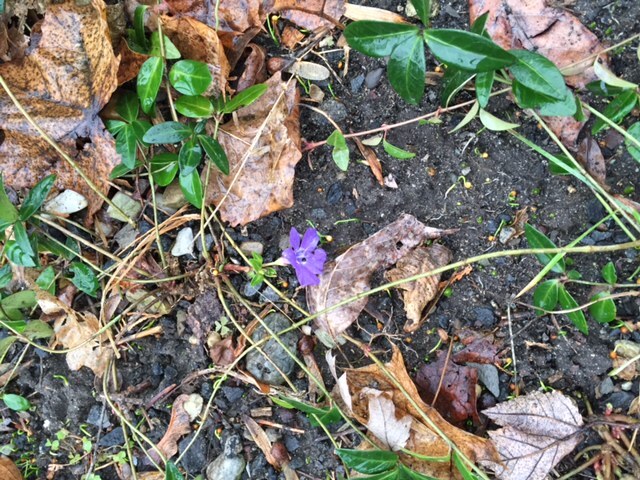 It might even be fun to go for spring-like walks in late December. But, where is this taking us? To a forever changed climate pattern in these parts or will winter roar in with a vengeance in January? In either case, what does that imply? 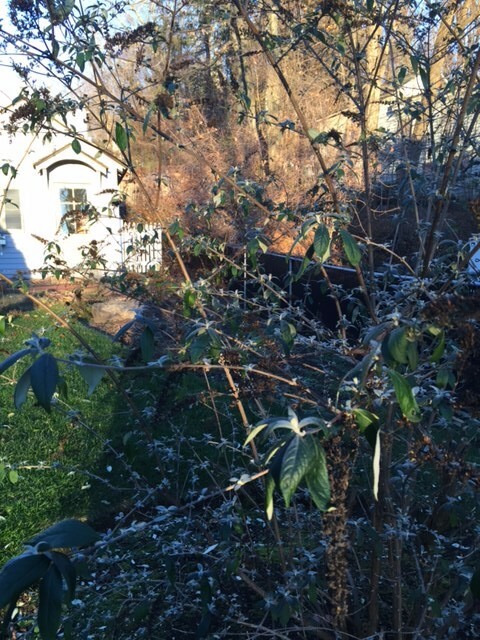 Should I go ahead and order crape myrtles that I’ve envied in southern gardens? A return to the usual winter conditions would kill the emerging growth but perhaps all will not be lost. 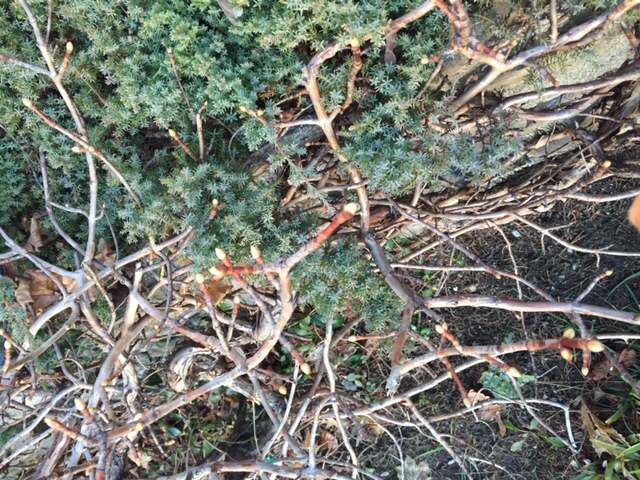 While there will be some damage and even the loss of certain spring blooms, the plants will rally. They are resilient for the most part. The gardener will simply have to take their cue and stoically carry on with a potentially less than spectacular post-winter show. However, if we completely forgo a cold season, it’ll wreak havoc. All bloom/fruit time bets are off. Plants that require a spell of hard cold will struggle to stay in character – after all, how can they play their part when the script has been completely changed? Others will bloom too early and who knows what this will do to producing fruit and seeds as the pollinating insects and migratory birds may not be around to do their job. I’m not as yet aware how this warm weather is affecting animals that hibernate. Are they getting tired or do they have some sort of internal mechanism that compensates and adjusts? Have certain birds delayed their winter sojourn to enjoy these warm days of December? If so, what will happen if the temperatures plummet suddenly? Questions flood my mind as I casually sip my tea seated on the stone bench in the meadow and gaze upon squirrels at play. In December! Meanwhile, how will we gardeners go about the ministry of our duties? Do I get my usual winter rest or am I to keep going with tasks brought forward per force? I’m concerned about the myriad bulbs that need the winter to come up properly in spring. I spy the tips of bulbs piercing through the still unfrozen earth. 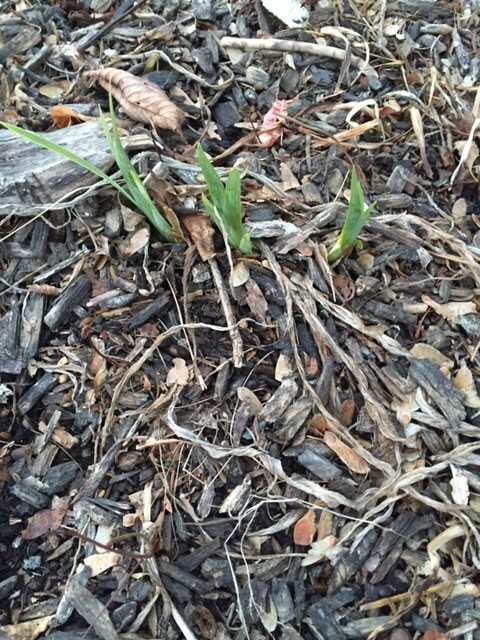 A friend noticed that hyacinth bulbs planted in a pot and kept outdoors were protruding through the soil. So she brought them in and watered the pot. 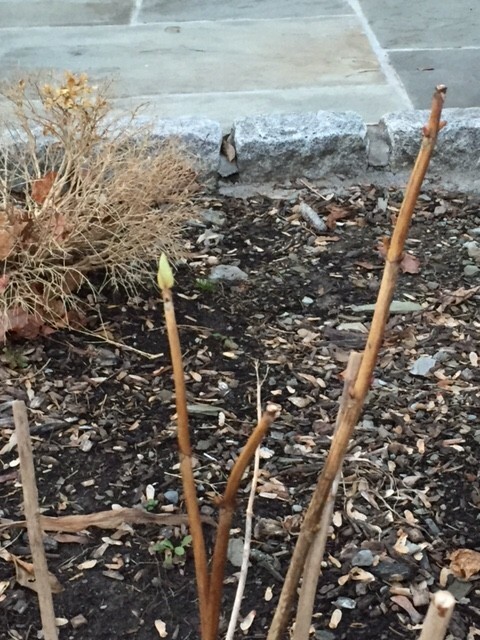 No leaves were put out and only the emergent end of the flower stalk bloomed. In fact, the plant did not grow any further. It merely put forth what it could and called it quits. So sad. Is this what we can expect more of? To say I’m worried is an understatement. We are currently going through an unsettling period. The four distinct seasons, their arrivals, durations and departures have set the rhythms of our lives. We’ve come to know what to expect and what to do by their timeliness. Our own resilience is now being called upon. Plus our willingness to do our part in coping and caring for this beautiful Earth that is seeing shifts and changes. Some phenomena are natural but there is plenty that we humans have wrought. The answers to my numerous questions will come only in due course. I’d like very much to hit the ‘Rewind’ button. This entry was posted in Deep thoughts, Seasons Greetings, Your Garden and the Globe by pgbundil. Bookmark the permalink.